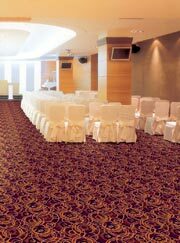 Axminster - the well-known name of woven carpets is suitable for both residential and contract uses. 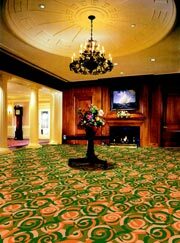 Regarding carpets history, the name itself is coming from the town of Axminster, Devon, England where "Axminster carpets" were knotted in wool since the 18th century. The name remained as a generic term after the arrival of power looms over the 19th century and nowadays if "Axminster carpets" are still produced in the town of Axminster. 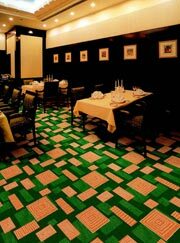 They are also manufactured and available worldwide from U.S.A, China, Poland, Belgium etc. 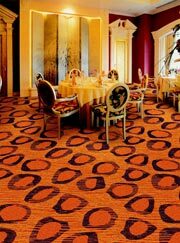 Axminster carpet weavers. Remark: 12, 13 and even 14 rows qualities can also be woven as requested. 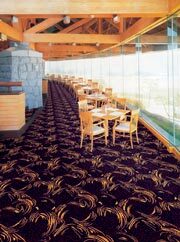 Yarn ply (generally, 2 or 3) and thickness are key factors in establishing an Axminster carpet's finished weight, and (as a consequence) overall durability. Generally represented as a fraction (i.e. 2/48's) the top number indicates yarn ply and the bottom number indicates how many yards of the yarn weight 1 oz. 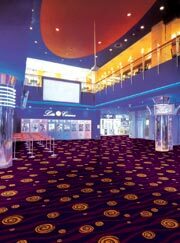 Caymeo can supply Axminster carpet according to your specific requirement and design. 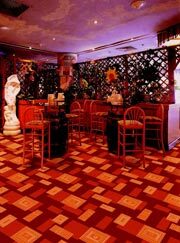 Our manufacturer controls the full process of carpet weaving from spinning, dyeing, designing to manufacturing each individual carpet in house. This ensures quality and delivery dates are always under control and enables us to have the flexibility to respond rapidly to ensure the success of your project. 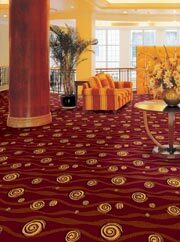 For Wilton carpet, please visit our Wilton carpet page. 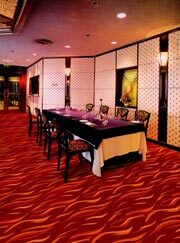 For Carpet Tiles, please visit our Carpet Tiles page. 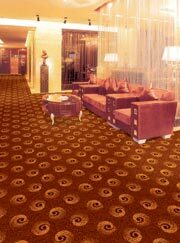 For Tufted Carpet, please visit our Tufted carpet page.